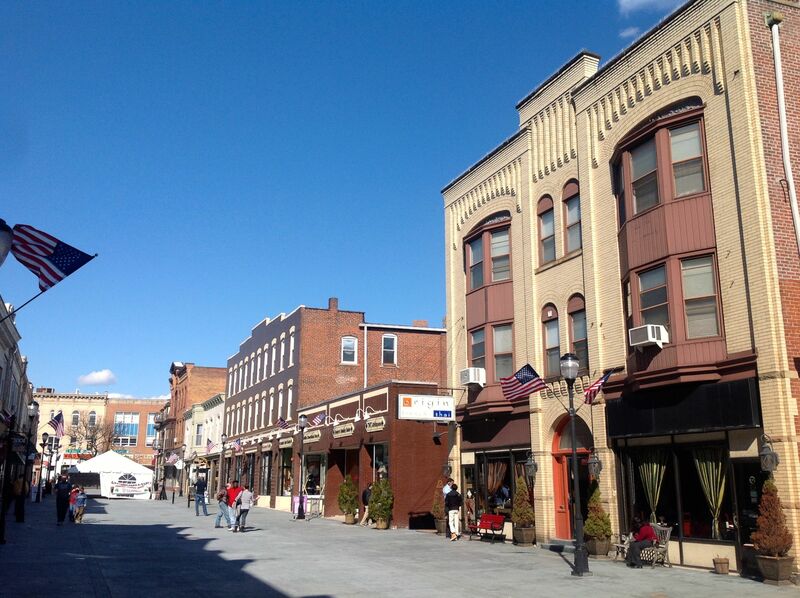 Somerville, NJ Now Has A Thriving Downtown Pedestrian Street. Could It Work In Princeton too? Somerville, NJ just celebrated their 23rd Annual St Patrick’s Day Parade with a street festival that included a party at a ‘Guinness Tent’ on Division Street. What makes Division Street such a perfect venue for a community gathering like this?? It’s a pedestrian-only street, a rarity in New Jersey. And its success shows that it is possible to give an entire street over to people in a New Jersey town, bringing vibrant street life and strengthening local businesses. The story of Somerville’s pedestrianization of Division Street started in 2010. At that time, the street, which is a block away from Somerville’s post office and NJ Transit station, was open to cars. But it was closed to vehicles temporarily during construction to allow newly-laid concrete to harden fully. During this time, the street was open exclusively for pedestrians, and as people became accustomed to having a car-free experience, the idea of closing Division Street to traffic permanently grew in popularity. Following public consultation, the pedestrianization was made permanent in September 2014. The story of Division Street underscores the fact that shoppers like having the opportunity to stroll without constantly watching for cars. It creates an environment in which people want to linger, eat an ice-cream, and explore the local retail scene. Downtown Somerville businesses have struggled to compete with the retail epicenter of the nearby malls around Route 202 and Route 287- which attract shoppers from the entire region. But Division Street has gone from a 50% vacancy rate pre-pedestrianization to fully-leased today, showing that downtowns can thrive if they realize the potential of their walkable place capital. More generally, downtown Somerville is looking in really good shape, with new investment and attractively-managed streetscapes. 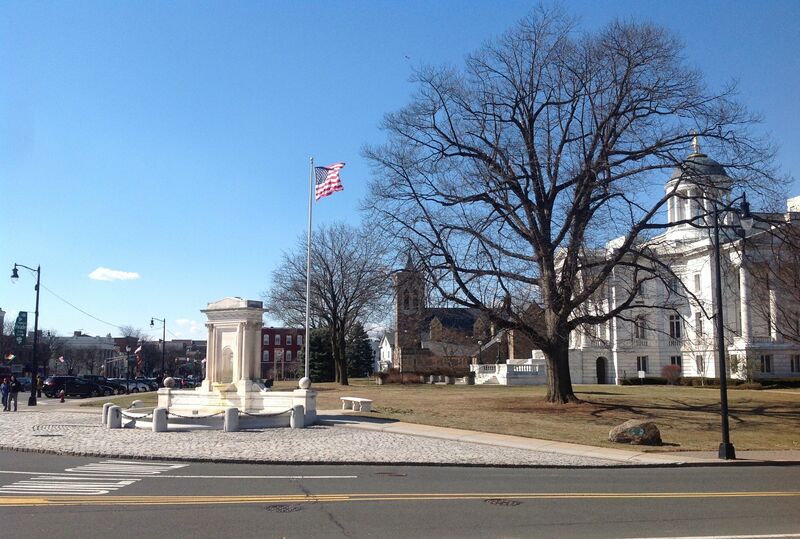 Located just 16 miles away and with a historic downtown just like Princeton, Somerville is a very interesting example of what can be achieved with toward-thinking planning. Somerville is a partner in ‘Together North Jersey‘, an innovative, inter-county network of communities working for sustainable development and placemaking. Nothing equivalent exists in the Central Jersey area. Princeton’s central business district currently offers a larger number of businesses, and many more upscale businesses, than are present in Somerville. For that reason, it may appear that there is no reason to consider innovations such as pedestrian streets. But local shoppers and people seeking an attractive downtown experience would no doubt respond extremely positively to having more dedicated space for strolling and street life. Princeton has not made an effort to dedicate downtown streets to pedestrians since the last half-hearted effort in the early 1970s. Maybe it’s time to consider it again? We’ll be returning to Somerville later in the week to consider what we can learn about downtown parking. In the meantime, let us know what you think about pedestrian streets. Does Division Street in Somerville demonstrate that closed streets can work in New Jersey? Could it also work in Princeton? Let us know in the comments section below. This entry was posted in Downtown Vibrancy, Local, Placemaking, The Parking Question, Walking and tagged New Jersey, Pedestrian, pedestrian streets, Princeton, somerville. Bookmark the permalink. 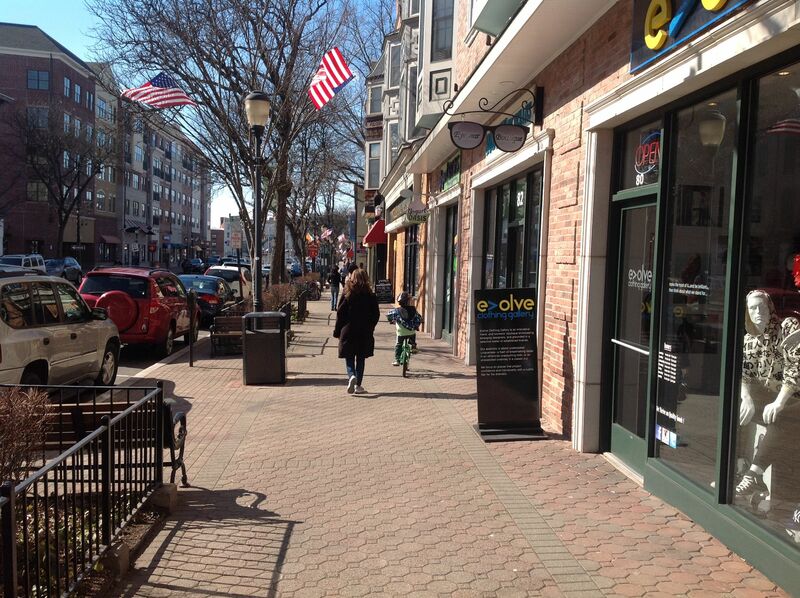 4 Responses to Somerville, NJ Now Has A Thriving Downtown Pedestrian Street. Could It Work In Princeton too? Nice write up. Been meaning to write about this in WalkBikeJersey for a while.